Looking for that unique gift to give to a friend? How about a chic trinket to revamp your apartment? Or perhaps you need an outfit that will make you the star at any party? 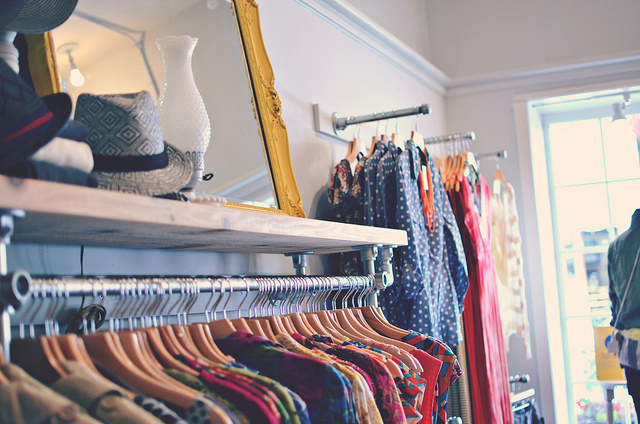 Boutique shops are a great place to find all those things and more. Read our list to discover the coolest local boutiques in Lille, France. Located in the heart of ‘Old Lille,’ this quaint boutique shop is full of treasures. Find great gifts for your home, such as candles, pillows, vases, clocks, and a bunch of other things that will make your space unique. Nenette de Lille is a great place if you need to purchase a gift, as it has a small selection of beautiful clothes and accessories that will transform any wardrobe. Finally, at the back of the store, there is a little bar to enjoy a warm cup of tea. The makeshift teahouse offers a large selection of tea, which you can enjoy in the store, or to takeaway. Be sure to ask the staff about receiving a loyalty card if you’re local to the area. Les Cousines de Léon sells just what you need to complete any outfit. Discover designer jewelry, scarves, belts, and purses so beautiful that all of your friends will want to borrow the special pieces. For your home, you can find anything from stationery and notebooks, to tea sets and pillows. Most of the articles are extremely affordable, and you can find something you’ll love even if you’re on a budget. However, the store also sells a few pricier items, if you’re willing to splurge. Either way, there’s something for everyone at Les Cousines de Léon. Located on the corner of a popular shopping square, Poppy Milton is a fantastic feminine find. Enter the pink and purple storefront and find a friendly, knowledgeable staff. They will help you find just what you’re looking for, whether it’s a floral summer dress to wear to the park or a chic show-stopping outfit for a night on the town. The skirts, dresses, blouses, and more come in beautiful pastel hues, and are soft and delicate pieces. Poppy Milton is definitely the place to visit if you’re more of a girly-girl. Don’t forget to check out the stunning accessories on your way out. Le Gallodrome is the place to go to find quality, comfort and style. 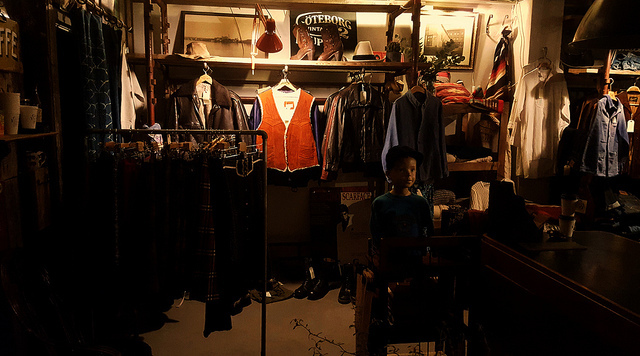 This trendy shop sells jeans, shoes, leather jackets, and hats. It’s also where you’re guaranteed to find a cozy hoodie or your new favorite T-shirt. Some of the items even have references to popular bands, movies, and television shows. One of the best things about Le Gallodrome is that it caters to both men and women. Definitely stop by if you’re searching for a birthday or holiday gift! But, just because the clothes are casual don’t let that fool you. Le Gallodrome sells such high-quality pieces that the prices can go up pretty fast. However, it’s totally worth it. Ever feel like you were born in the wrong decade? Or, do you want to rock your favorite look from your childhood? Pop in to Tilt Vintage. The bright blue boutique stands out amongst the crowd, drawing you in to peruse. You’ll find boots, coats, dresses, pants, hats, furs, and so much more. The main clothing items are located in the front of the store, which is bright, big, and contemporary. But, once you get to the shoes and accessories, you’ll find yourself in what appears to be a dimly lit wine cellar. This is a perfect example of what Tilt Vintage does best – it brings the modern and classic together in a trendy, fashionable way. Tilt Vintage believes that some fashion trends will never go out of style. If you agree, then this is the boutique for you!